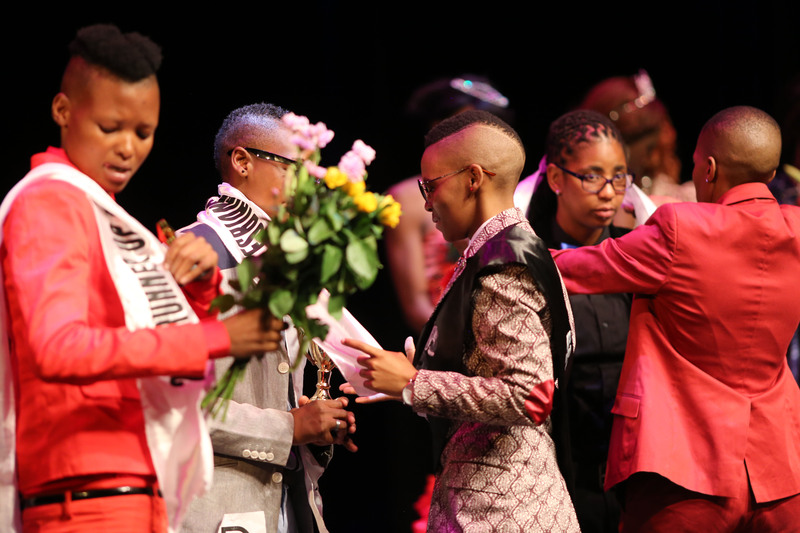 The Miss Gay and Lesbian Soweto pageant is an idea born in the year 2000 and was turned into an annual event, until 2006. Then the strain of using money from their pockets, due to lack of funding and sponsorship, forced organisers to stop hosting the beauty pageant. However they refused to give up, and in 2012 the beauty pageant was resuscitated. 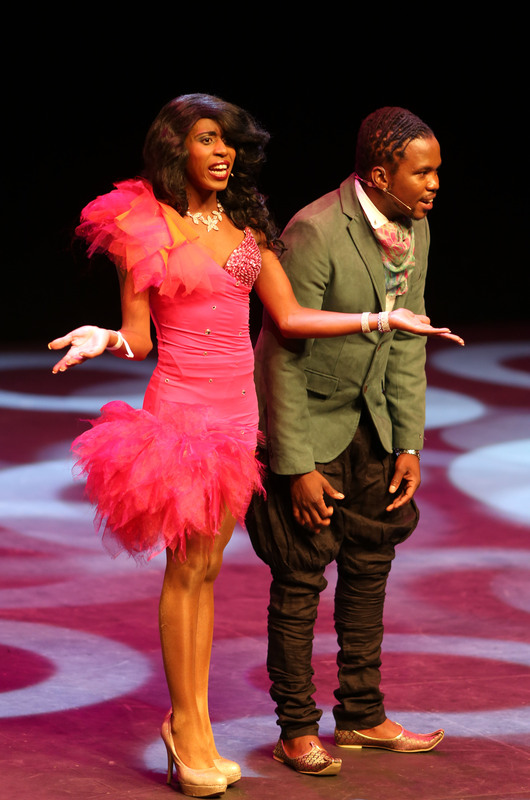 On Saturday, 7th of December 2013, Soweto Theatre hosted the 9th Miss Gay and Lesbian Soweto. Although they have upped the standard, even changing venues, their efforts were in vain as the event failed to pull the crowd. The event kicked off with a powerful poetry performance titled “unattainable soul” by Mpho “Poposki”. The poet also performed another poem titled “My complexion” which speaks of inner peace and not allowing other people’s expectations to lead us to self hatred. 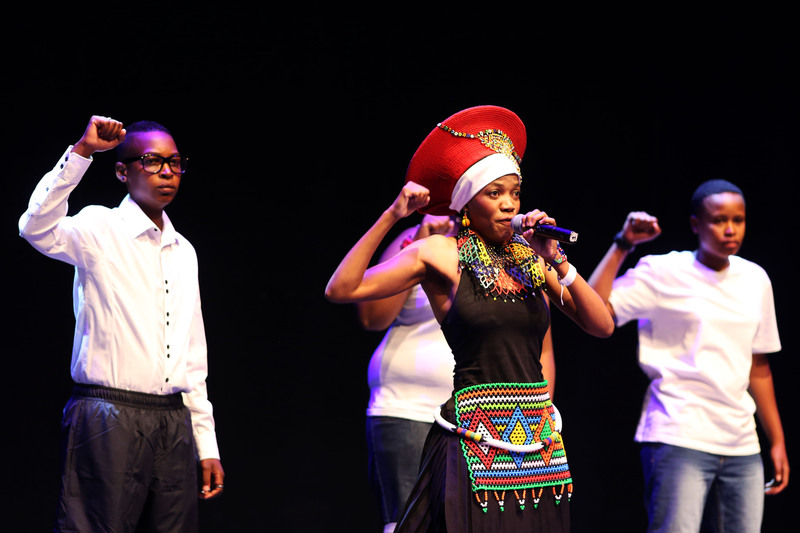 While Tumi Ndweni wowed the audience with a drag performance of Brenda Fassie’s Black president. For their first appearance on stage, the contestants were wearing white, as a way of paying tribute to former President Nelson Mandela, as well as gays and lesbians who’ve been killed. Duo, Labelz and Boiki kept the audience entertained as MCs. The pair kept changing from one elegant outfit to another, and Labelz’ humor left people in stitches. The swimwear category followed the tributes and was energetic and beautifully choreographed. The showstopper has to be the formal wear category, which saw contestants pull out all the stops. The contestants impressed the audience and judges, by strutting their stuff: high heels, makeup, hairstyles and figure hugging dresses. While the lesbians looked handsome in suits, waistcoats, ties and bowties. Once the “beauty” contest was wrapped up, the top five was selected and asked questions as a way of testing their “brains”. This section is often controversial and entertaining, and this pageant was no different. What is the meaning of lgbti (the contestant quizzed failed to answer)? Who was the first black lesbian to come out in public and the media? What does the lgbti flag represent? This section resulted in some funny, smart, dull and unfortunately not so smart answers. After the second round of questions, it was time announce the top three. All in all, the event was well organized and the contestants seemed prepared, the most disappointing part is that there was less audience than expected. We hope that the 2014 pageant will have positive vibe considering that we’ll be celebrating South African 20 Years of Democracy. 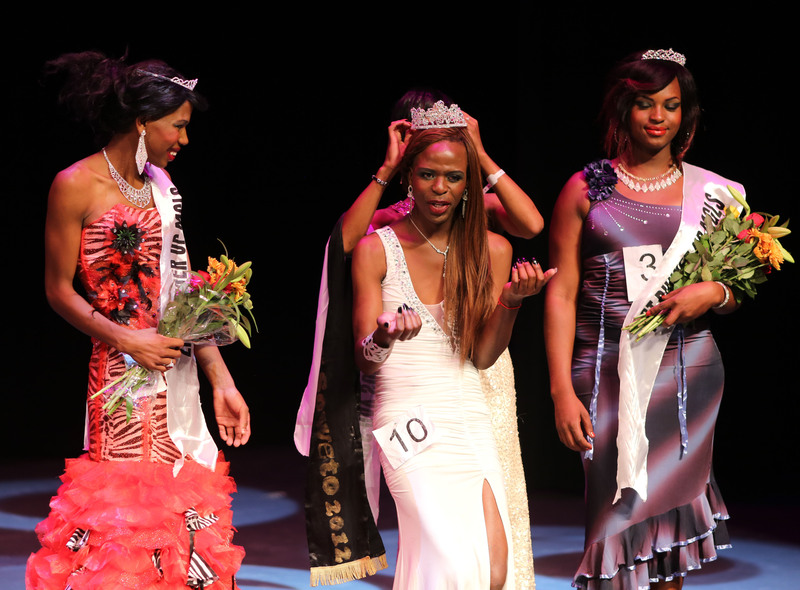 Facebook: Miss Gay Lesbian Soweto 2013. 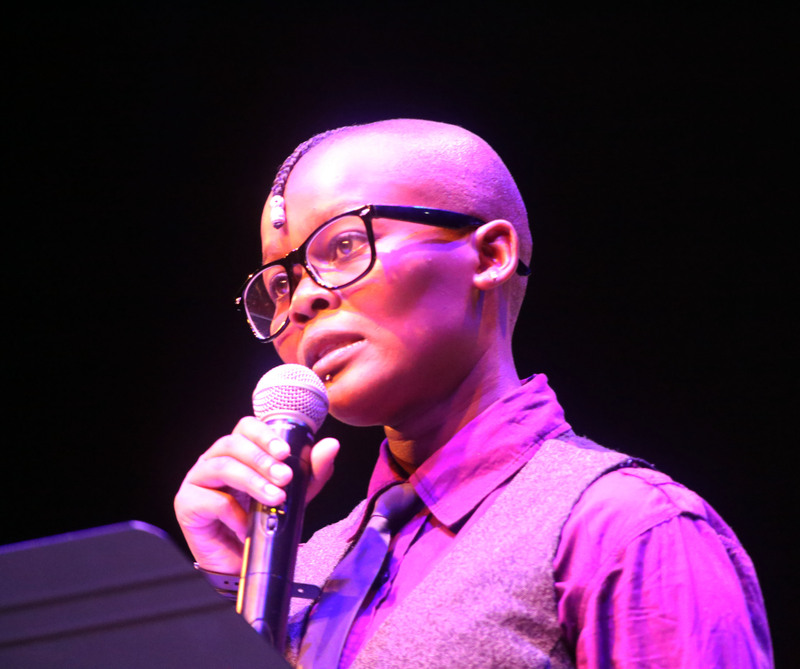 Click here for more photos from the 2013 Miss Gay Lesbian Soweto finals. This entry was posted in Another Approach Is Possible, Arts, As we are, Before You, Being Scene, Black Queer & Gifted, Blackness, Body, Body Politics, Characters, Crea(c)tive senses, Creating awareness, Cultural activists, Democracy, Documentation; Filming; Photography; Community, Emotional support, Empowerment, Entertainment, Friendships, Gender expression, Gender performance, Homosexuality, Lack of Resources, Lack of sponsorship, Lessons learnt, Life, Life Stories, Love, Love is a human right, Media works, Our lives in the picture, Participants, Photo album, Photography, Queer Education in SA, Queer Edutainment, Queer visibility, Queer Youth, Queercide, Questions & Answers, ReClaim Your Activism, Recognition, Records and histories, Relationships, Sharing knowledge, Society, South Africa, South African Black Female Photographers, South African townships, Soweto, Soweto Theatre, Speaking for ourselves, Textualizing Our Own Lives, Together we can, Townships, Visual history, Visual history is a Right not a luxury, Visual Language, Visual Power, Visualizing public spaces, We Are You, We Care, We Love Photography, We Still Can with/out Resources, We were (t)here, Women's power, Writing is a Right, Youth voices and tagged Articles; Beauty; Pageantry; 2013 Miss Gay Lesbian Soweto; Tumi Ndweni; Black President; Performance; Music; Dance; African songs;. Bookmark the permalink.